Nicole Eisenberg is a force to be reckoned with. When you hear about her background it’s not surprising to see why. She has a history with running that stretches back to middle school as a sprinter. She may have considered distance sooner except for the fact that going fast seemed to be her default. This daring approach landed her a scholarship to Samford University where she competed as a sprinter in the 100m through 400m. She underwent intense training in her first two years in her running career which was unfortunately accompanied by a host of injuries including stress fractures which posed challenges to continuing on in the program. Her scholarship ended when a new coach imposed a 60-second barrier for the 400m to stay on the team, which Nicole wasn’t able to break. Not one to be discouraged, she decided to focus her studies on dentistry and began running with a friend who was a middle-distance athlete. From here, she went straight into dental school, then attending Navy Officer Candidate School in Rhode Island, and completed her residency in oral surgery at Yale New Haven Hospital, after which she served in the United States Navy. 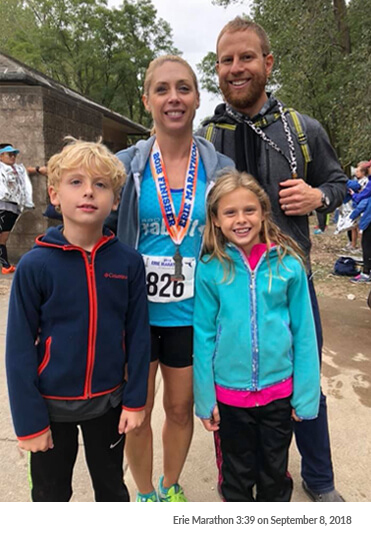 After starting a family in 2009 while living in San Diego and serving in the Navy, she decided to pick up running again. 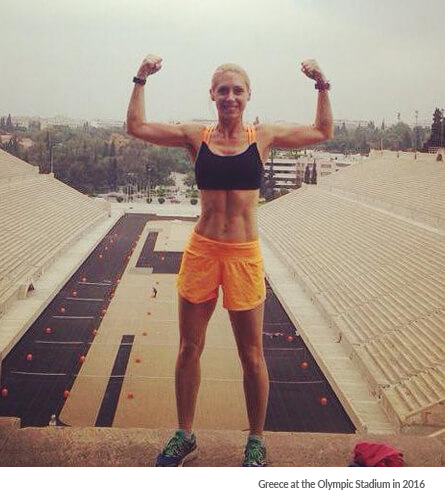 Her efforts put her at a 4:07 at the San Diego Rock ‘n Roll Marathon in 2012. In between this time and 2018, she raced simply for the fun of it. In July of 2016, she left the Navy at the rank of Commander having served 9 whole years. She established herself in the Knoxville area and now owns her own practice as an oral surgeon. 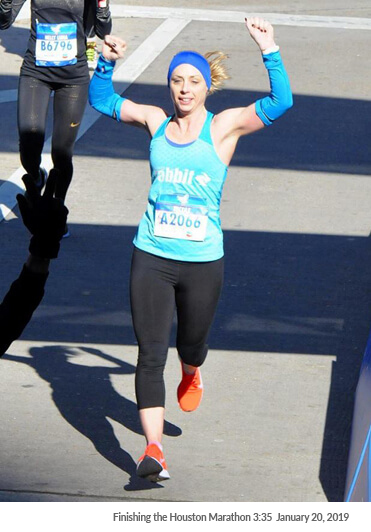 In 2018, she joined Knoxville Endurance, and promptly set a nearly 30-minute marathon PR at the Erie marathon, clocking a 3:39, securing a spot at Boston for 2019, which she improved by nearly five more minutes at the Chevron Houston Marathon this past January (3:35), which qualified her for the Boston Marathon in 2020.